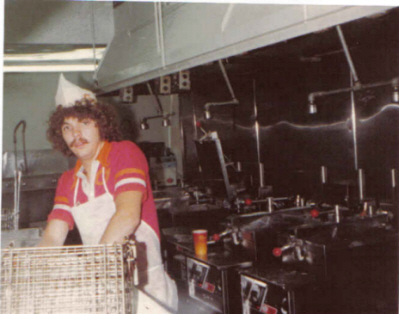 Photos of employees working in the Chicken Room at Marlton Gino's. Gino's pay stub from 1982. By this time Gino's was owned by Marriott. July, 1969 want-ad for Gino's that mentions some of the Southern New Jersey Gino's in the Philadelphia area. 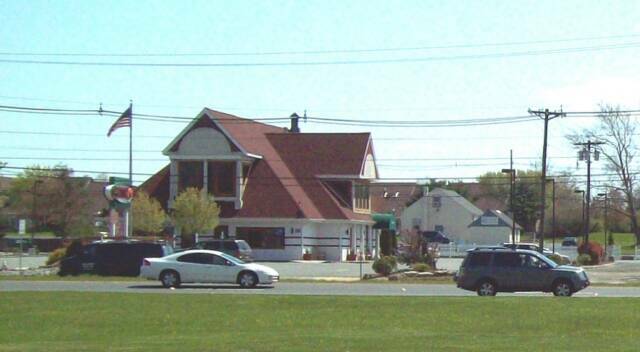 Marlton Gino's site today. 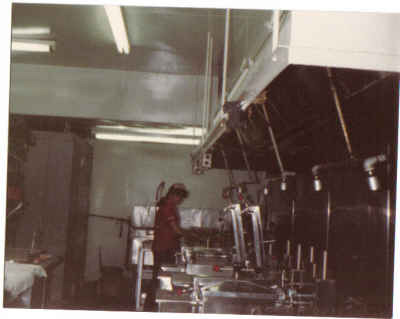 The original Gino's building was later a Pizza Hut, then demolished and this building was built - Pietro's Coal Oven Pizza.